I just started to quilt for other people about a year and a half ago, and I'm flying by the seat of my pants. 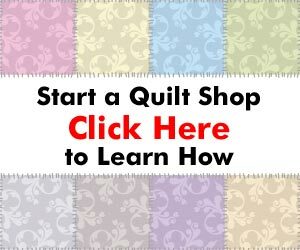 In one of your quilt pricing articles, you state that “You need to do a little bit of research in your market to see what the going rate is for the type and size quilt you are making.” How do I do that? I have several price lists for locals and not so locals for quilting (machine quilting) quilt tops by long-arm quilters (generally done by the square inch). I have a pretty good idea of what I want to make per hour and I know my overhead. I haven't done a good job of building a “fudge” factor or charging for my overhead. I've quilted for quite some years, but never kept track of the time and I'm finding it's longer than I imagined. I also have not charged extra overhead for shopping for or carrying items for my customer other than batting. BASICALLY, I don't know how to research the market in my area or price competitively. I don't know others doing this other than a few long-armers. I am a new long-armer (I've had my Gammill for about 1 1/2 years), and I'd value your advice. It looks like you have most of what you need already. You have done some basic research into what some of the other local quilters are charging, and have a rough idea of how long it takes you to do certain quilting tasks. You also know that you are probably undercharging your time, so that's a great piece of knowledge. If you are machine quilting, take a look at the prices that others in your area are charging (you said you had some price lists), and then determine if you can be competitive and also make money based on how long it takes you to do similar tasks. And, if you're smart, you'll come up with something to set your business apart. If you can create the impression that what you are doing is in some way at a higher skill level or using better materials than others in the area, then you can command premium prices. And, you don't have to lie to do this. If you can just explain everything that goes into the quilt in detail, and show the care and expertise you put into it, you will win. Most people don't take the time to explain, and therefore are perceived as one of the pack. In business, especially in a small business, marketing can, and will, make a huge difference to your bottom line. It's not necessarily the best product or service that wins – it's usually the best marketed product or service that wins. There's an old case study that's used in a lot of marketing courses about Pabst Blue Ribbon beer. They hired a marketing whiz of the time (this was almost 100 years ago) who spent most of his time asking questions about the brewing process. When he found out everything that went into making the beer – the multiple filters of water, the precision of the brewing process, the small margins of error, the ultra-clean equipment – he realized that would be what the marketing message would be about. The people at Pabst said, “but that's how every brewery works.” The marketing expert's answer was that since none of the consumers knew about this process, the first company to tell them will have the perception of being above and beyond the rest. Their market share jumped until they were the top beer for a while based on this message. If you can talk about the precision of your machine, the exactness of your stitches, the quality of the materials you use, etc., you can create a perception that you are head and shoulders above the competition and command higher prices and a greater share of business. Next post: Is a Hand Quilting Business Worth It?